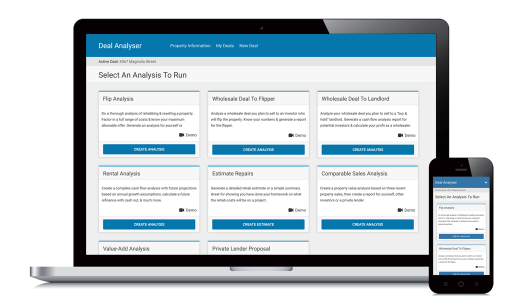 Within the Deal Analyzer software is a simple comparable sales report generator so you can quickly estimate the value of a property. Then include the details in one of your other analyses or create a separate report. Create a simple property value analysis based on up to three recent property sales, then create a report for yourself, other investors or a private lender.